This week we have a review of Survive or Die by Catherine Dilts, along with an Earth Day related guest post by Catherine. 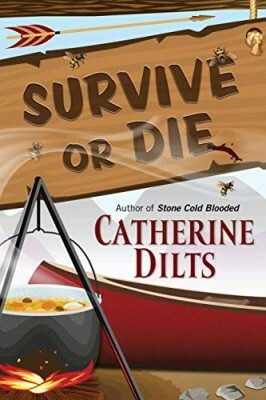 Details at the end of the post on how to enter to win an ebook copy of Survive or Die (all giveaways this week are ebook in honor of Earth Day). There is also a link to purchase the book Amazon. It was a wild and crazy ride, reading this cozy adventure thriller. On the abandoned set of an old reality show, Survive Or Die, the employees of a company are put to the test by their conniving owner who promises a raise for the winner and a firing for the loser. The boss is accompanied by his mistress who is determined to become his next wife, a husband and wife who are struggling to keep their marriage going, a pioneering man looking for the perfect wife to do a wildness or wilderness life with, and an environmentalist who is searching for evidence of toxic waste dumping in the old mine shafts pitting the camp and the rest of the employees, some of whom are toting hand guns. The first murder happens before anyone even knows that the man had arrived and no one can even remember who he is. The employees are put into groups, and they have to survive a test of their outdoor skills to win keys to a treasure chest! Before the games start, the boss receives a written death threat and an employee dies from bee stings when he can”t find his injection pen! Who is out to kill the boss? His mistress who is tired of waiting for his divorce, the toxic waste hunter, the employee wife who was tricked into thinking this was a vacation to get her marriage back on track, the employee who was caught embezzling funds from the toxic waste account, or anyone who hated the boss, which is everyone. Will they discover the murderer and stop him before more people lose their lives. This was a well-crafted mystery and adventure book. The characters are very well drawn and totally believable. The survivalist camp made the perfect background setting for some crazy stunts. Any cozy or thriller fan will enjoy this book, and the stunning ending will have you glued to your seat. Please excuse me while I make a statement that might sound out of sync with keeping our planet healthy: abandoned mines can be good for the environment. Bear with me while I explain. In 2015, the EPA and a private company were tasked with the well-intentioned effort to mitigate pollutants from the inactive Gold King Mine in southwest Colorado. Instead, they accidentally released three million gallons of wastewater contaminated with heavy metals into the Animas River. The mine’s owner initially cooperated with the EPA, but now suspects them of a conspiracy to create a superfund site in Silverton. The Gold King Mine spill dominated the news for months. The states of Utah and New Mexico, and the Navajo Nation, all sued the EPA for damages. Issues are on-going. The drama of an environmentally-themed story making national headlines sounded like fodder for great fiction. My day job is ensuring my company’s products comply with various hazardous substances regulations such as RoHS, which limits use of lead, mercury, cadmium, and hexavalent chromium. While the mining disaster had nothing specific to do with my job, news stories about heavy metals pollution catch my eye. This sounded like a classic case of good intentions gone bad. The attempt to clean up an abandoned mine goes horribly awry. Throw in the owner, who merely held the claim but did no active mining, with his theory that the act of plugging the mine caused the spill. While attending a lecture at the Western Museum of Mining and Industry, I learned that modern mines in the United States operate under strict labor and environmental regulations. Companies cannot begin a mining operation without proving they can clean up after the claim is closed. However, many abandoned mines were established a hundred or more years ago. There is typically no owner or company left to task with cleaning up the mess. In Colorado alone, there are an estimated 23,000 abandoned mines or claim sites. A fraction of these present pollution issues. Even those that do not cause water or air contamination may present another problem: curious hikers enter mines, becoming lost or injured, even killed. Enter good intentions, once again. To keep humans out of abandoned mines, landowners or the government used to fill them in, blocking the entrances. The unexpected side effect of this was to destroy bat habitats. There is an alternative that saves both bats and humans. Gates, grates, steel netting, or culverts are placed over mine openings to keep humans out, but allow bats access to much-needed habitats. Abandoned mines that present no pollution issues can be left intact, when properly fenced off to prevent humans from entering. In fact, they can be beneficial for bats and other wildlife, who desperately need alternatives to habitat lost due to human encroachment. Thus, under the right circumstances, abandoned mines can be good for the environment. While my day job is in the environmental field, I write fiction in my spare time. In my murder mystery Survive Or Die, eco-warrior Sotheara Sok learns about the need for bat habitats while on a ranch where her company is holding an ill-fated team-building exercise. She risks her life to protect the environment when she uncovers a dirty plot by the company’s low-life owner. Earth Day is the perfect time to reflect on the changing landscape of environmental issues. Cleaning up may have accidental consequences, as in the case of the Gold King Mine. Conversely, leaving well enough alone – let me emphasize this must be under the right circumstances – could have unexpected benefits for wildlife. Each situation requires careful evaluation to determine the best approach for restoring the environment. The effort to preserve wildlife habitat must be balanced with concerns for human health and safety. Environmental restoration is complicated, but it’s worth our investment of time, energy, and thought. We need to preserve precious habitat, not just for bats, but for ourselves as well. To enter to win an ebook copy of Survive or Die, simply email KRL at krlcontests@gmail[dot]com by replacing the [dot] with a period, and with the subject line “survive,” or comment on this article. A winner will be chosen April 20, 2019. U.S. residents only. If entering via comment please include your email address. You can read our privacy statement here if you like. 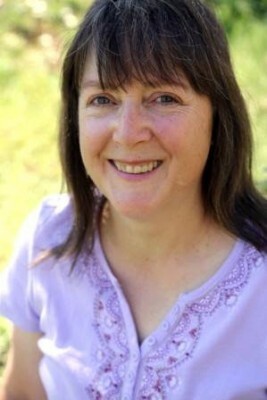 Catherine Dilts is the author of the Rock Shop Mystery series, while her short stories appear regularly in Alfred Hitchcock Mystery Magazine. She takes a turn in the multi-author sweet cozy mystery series Secrets of the Castleton Manor Library with Ink or Swim. With a day job as an environmental regulatory technician, Catherine’s stories often have environmental or factory-based themes. Others reflect her love of the Colorado mountains. The two worlds collide in Survive Or Die, when a manufacturing company holds a team building exercise in the wilderness. You can learn more about Catherine’s fiction on her website. New to me author, cannot wait to start reading your books. I hope you enjoy Survive Or Die! I really liked the description of the book. New author to me, would really like to read. Hi Dianne, it was a blast to write! Good luck! I hope you do get the chance to read Survive Or Die. Thanks for dropping by! Thank you for dropping by, Jaime! I hope you get the chance to read Survive Or Die, Alicia. Thanks for dropping by!